Most people see molds as something harmless; yes, it does look unpleasant but overall, they don’t see it as a risk. Sadly, this isn’t true. These odorous, ugly, hard-to-get-rid-off fungi can pose a serious threat to one’s health and safety if left unaddressed. The challenging part is – it grows and spread in as fast as 48 hours, therefore, it should be resolved at the soonest possible time by calling a Water Damage Pro. So whether you suspect your place to be affected or you’re seeing it literally on your wall, you need to know what molds are about and how you can get rid of it, now! A mold is a type of fungi that can either be beneficial or dangerous. Penicillin, for instance, is created out of some kind of mold. This life-saving antibiotic is still used until now. Meanwhile, there are types of mold that can be hazardous to one’s health. Normally, it grows in areas where moisture and/or humid is present. It feeds on almost anything such as paper, wall, or wood. A small leak of water can start a serious mold problem, therefore, it should be addressed immediately. Mold spores are very tiny that it can’t be seen by a naked eye; since they are very light, they become airborne and can be inhaled easily by people near the infected area. Almost anyone can be affected easily, especially the children and elderly. Meanwhile, if you’ve got a severe problem with molds, you can still be a victim no matter how strong you think you are. Your pets may also be badly affected. Considering this, it’s important to resolve your dilemma with molds in the soonest possible time. You can kill mold in your walls using soap and water, white distilled vinegar, or by using chlorine bleach. On the other hand, if you think you cannot resolve it on your own or if you want to be sure about how bad your mold problem is, it’s best to call for assistance. There are a lot of mold removal companies in San Diego alone and you can surely find the right service provider. These companies are manned by mold removal experts to clear infested areas. Meanwhile, if you think you’re suffering from a mold-related illness or you’re experiencing any of the symptoms above, you should see a medical expert for diagnosis and treatment. However, you cannot guarantee that you will recover from the sickness unless the entire mold is removed from your home or office. Mold removal experts normally offer mold remediation – or the process of getting rid of molds. Normally, this disturbs the mold causing them to dwell in the air. For this reason, it’s important to call an expert because they know how to do it properly and they have the right gear to protect themselves from it. They also know how to contain molds so that it will not spread on the entire house. Molds can affect you and your family, therefore it’s just right to take the necessary actions to remove it before it spreads on the entire household. 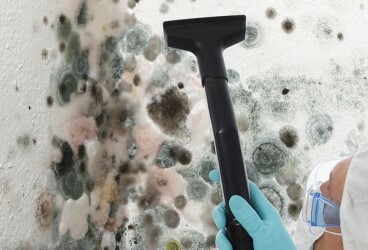 ← Does Bleach Kill Black Mold?